Needing something new to do in the evenings? Make a couch throw using large print/directional fabric for the main body, and 5 standard quilting blocks as the accent in 3 coordinating colours. 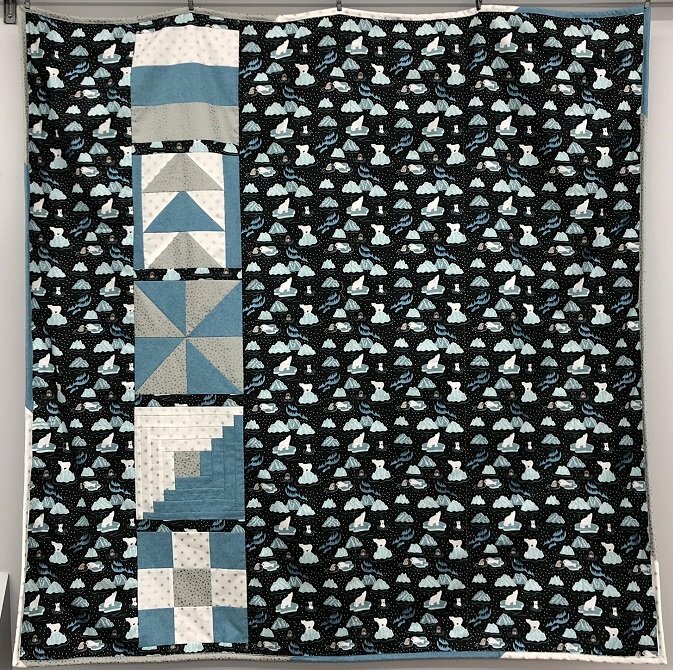 This 5-week course will teach the basic techniques needed to complete a 50" x 50" couch throw (no batting in the middle); from cutting to piecing to binding. Materials Included: A complete supply list is available upon registration. Quincy's provides a 15% discount on class supplies. Requirements: Fabric is not included. Each participant must also have their own sewing machine and basic quilting tools including ruler, cutting mat and rotary cutter.